AUEET 2018: The Andhra University Engineering Entrance Test is announced by the Andhra University, Visakhapatnam for the admission into 6-Year B.Tech. + M.Tech. Dual Degree courses. 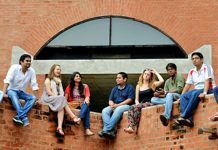 Andhra University, Visakhapatnam invites applications for admissions into 6-Year B.Tech. + M.Tech. Also, AUEET 2018 Online Application Form Submission started from 22 March 2018 and the Last date for Submission Without Late Fee was 21st April 2018. Andhra university aueet 2018 is major engineering entrance exam for Andhra Pradesh. AUEET 2018 will be conducted in three cities of AP i.e. Visakhapatnam, Kakinada and Vijayawada. Last Date for Online Applications submission with late fee of Rs.1,500/- until 30 April 2018. Directorate of Admissions, Andhra University, Visakhapatnam announced admission into Engineering Courses of Andhra University and its Affiliated Colleges, Visakhapatnam for the Academic year 2018-2019. 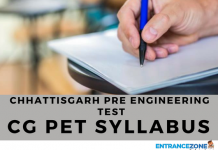 Read more about Engineering Entrance Exam Here. Candidates should fill the Applications through online only. Read the eligibility before starting the AUEET Application Form. Once the Application Form Filled and submitted. An application number along with filled details will be generated. Candidates should take print out of the final Online Application Form. And keep the Application number safe for all the future referance. Percentage of marks and year of Passing of Qualifying Examination, if Passed. Students who are appearing in current session must have marksheet at the time of counselling. Caste in case of SC/ST/BC applicants. Residence Certificate for local and domicile verification. The list of dual degree courses with exit option after 4 years. There only two institutes under AUEET 2018 Examination. The official dates are announced by Andhra University, Visakhapatnam. Download the AUEET official Information Brochure Here.